These days it seems everyone is always after trying out the latest craze or fashion, only for a few weeks to pass and everyone has forgotten about it again. Well, if you are looking to invest in a current craze that is sure not to go out of fashion why not purchase a Hog Roast Deeside machine?! The art of hog roasting has been about since the middle ages and with good reason! By roasting meat low and slow over open flames, or in our case in one of our roasting machines, you are sure to achieve nothing but the most succulent of meats that simply cannot be achieved any other way. 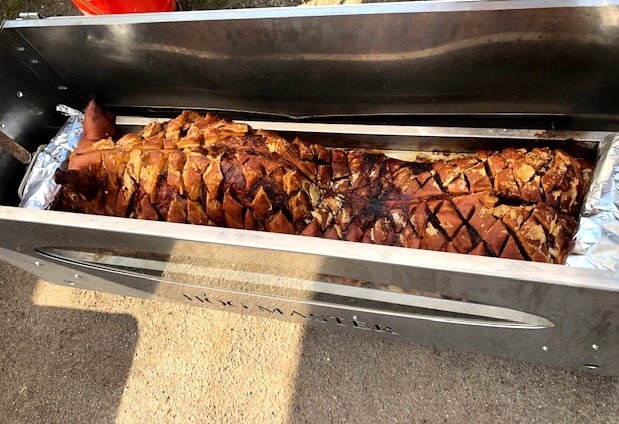 In recent years hog roasting has gained even more popularity and as Hog Roast Deeside has grown, we constantly receive enquiries from people who want to know where they can get their hands on equipment such as ours so they can cook their own delicious roasts. The answer is, you can buy our machines directly from us! As leading caterers in the hog, roasting world its safe to say we know a thing or two about what the perfect roasting machine needs and that’s why we design and build all of our own machines. 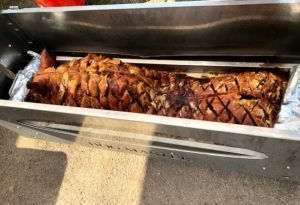 What’s more, is we want to share our love of hog roasting with the public and we are generous with our designs and sell our machines to members of the public so everyone can enjoy a Hog Roast Deeside from the comfort of their own home! One recent machines customer was Adrian. As somewhat of an amateur chef, Adrian is always on the lookout for new techniques and crazes to try out. When he came across Hog Roast Deeside’s machines, he just knew that this was going to be his next endeavour. 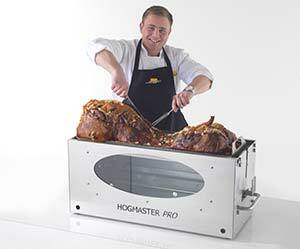 After visiting our factory Adrian decided the Hogmaster was the machine for him. 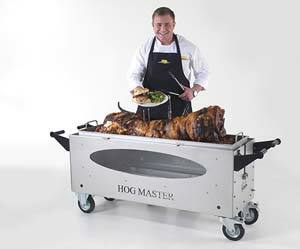 Strong and built to last, not to mention capable of cooking up a storm of a hog roast the Hogmaster is our classic machine. We are looking forward to hearing how Adrian gets on although we are sure he will be more than impressed!